Diagnostic imaging; contrast agents; MRI; X-ray; ultrasound. Bracco Imaging is one of the world’s leading diagnostic imaging companies. Headquartered in Italy (Milan), Bracco Imaging is actively involved in the research, development, manufacture and marketing of diagnostic imaging solutions that respond to emerging medical challenges and facilitate clinical success. Bracco Imaging is a a subsidiary of Bracco Spa, the holding company of the Bracco Group, which also operates in the pharmaceutical sector with prescription and over the counter drugs, in the Italian healthcare system, with its diagnostic clinic in Milan, Centro Diagnostico Italiano, and globally in medical devices and advanced imaging agent injection systems for cardiology and vascular angiography, through ACIST Medical Systems. Diagnostic imaging products, better known as imaging agents, are pharmaceutical products used to improve diagnosis and procedure monitoring for various pathologies. Bracco Imaging offers a portfolio of products and diagnostic imaging solutions for all diagnostic techniques: X-ray (including Computerized Tomography), Magnetic Resonance, Ultrasound Imaging and Nuclear Medicine. The comprehensive portfolio also includes advanced imaging agent injection systems for radiology as well as decision support software and medical instruments for gastrointestinal radiology. The company has a huge global presence, operating in over 100 markets worldwide through subsidiaries, joint ventures, licensing and distribution agreements. Bracco Imaging has a strong presence in North America, Europe and Japan, where it operates through a controlled joint venture Bracco-Eisai. 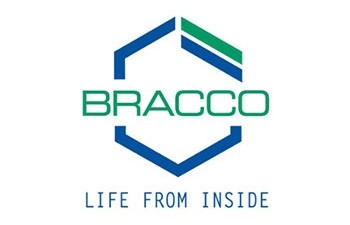 The Company also operates in Brazil, Mexico, South Korea and China through a controlled joint venture, Bracco Sine Pharmaceutical Corp. Ltd.
injectors for administering contrast agents to optimize the administration of contrast agents, assuring safety and efficacy.